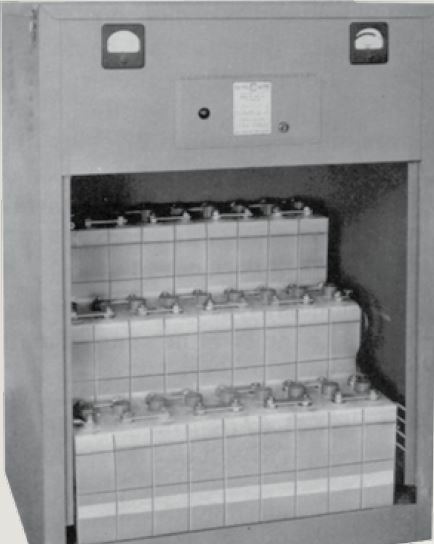 In the 1970’s manufactures of emergency lighting began to use a new gel type battery in many of the units they produced. Prior to that time, they generally use lead antimony and nickel cadmium cells utilizing a wet electrolyte of sulfuric acid or potassium hydroxide respectively. Both came in a number of amp/hr sizes and cells could be added in series to create various voltages, but mostly six and twelve volt blocks were utilized. These emergency lighting batteries required varying degrees of maintenance throughout the year. 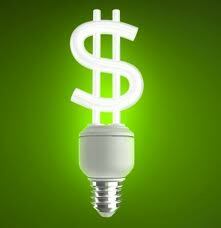 You have 5-6 inch recessed lamps or light heads in your hallway ceilings or doorways. 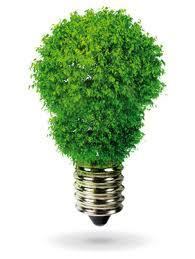 Your facility was built prior to 1990 and has never had a major upgrade to its electrical and/or life-safety systems. You have various different types of visible stand-alone emergency lighting units in some areas but are void of units in many others. Some locations where it is difficult to install electrically powered emergency exit signs, such as above doorways, are perfect locations for Tritium exit signs. Tritium exit signs are signs that glow in the dark and contain a radioactive gas called tritium. The gas is enclosed in sealed glass tubes with a light-emitting compound inside. The tritium gives off low-energy beta radiation that causes the lining to glow inside the sign but the radiation is unable to penetrate even a piece of paper or clothing. Just like other more common exit signs, these units serve an important safety function by marking exits to be used during power outages and other emergencies. Tritium signs come in 10 year and 20 year expiration models and are available in a number of colors and configurations. Do I Really Need a Larger Emergency Lighting Unit? Most manufacturers of 6 and 12 volt emergency lighting equipment use a cabinet that is frequently larger than needed for the particular battery specified for the wattage of the unit itself. These manufacturers have found that it is less costly to supply only two or three cabinet sizes. However, it is very common that these cabinets have the capacity to hold batteries ranging from 8 amp-hours to 80 amp-hours. 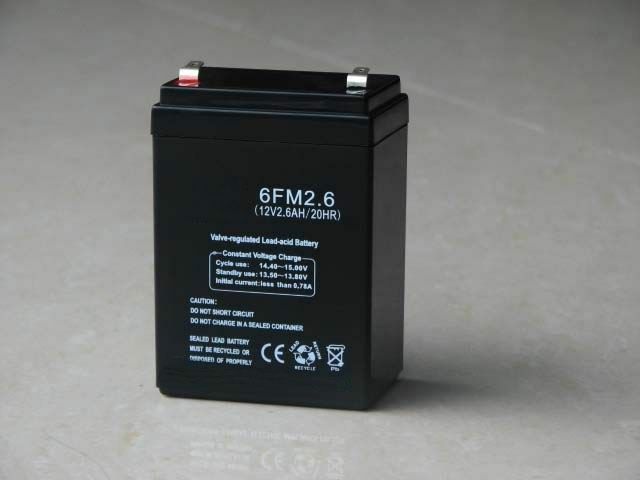 In fact, your D.C. wattage load may be as little as 27 watts but can be increased to 200-300 watts just by replacing the battery and increasing its capacity. You must be sure to use the proper voltage and cannot use a 12v battery in a 6v unit; both the charger and lamps are not compatible. 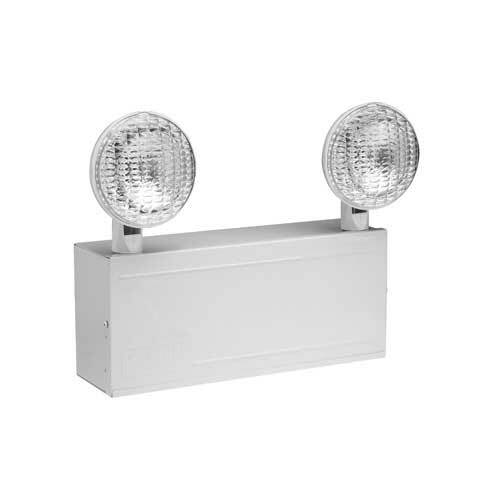 With this information in mind, and using larger amp-hour battery, you may be able to add emergency light heads to the top of the unit, run remote fixtures, or increase the run-time of the emergency lights up from the fire-code-required 90 minutes to 3-4 hours for minimal investment. 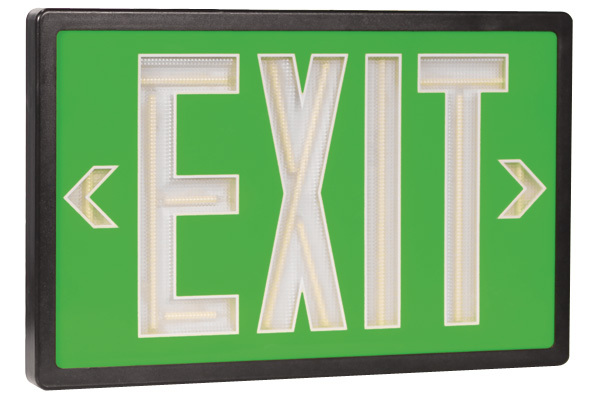 There are many older type exit signs in use today that have both D.C. lamps which are powered by a battery, that operate in the emergency mode when a power failure occurs. However, NFPA 70: National Electrical Code requires exit signs to be illuminated when, either externally or internally, twenty-four hours per day in order to identify a means of egress. How many times have you had to repair or replace emergency exit signs due to damage, malicious mischief or vandalism? There is an answer. 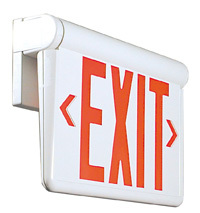 The “flexible” exit sign will solve nearly 100% of your problems. These replacement units are high impact injection molded ABS plastic and ready to mount to a junction box. The exit pivots from the ceiling, mounted on the wall or mount in just about any other position. The unit is virtually indestructible. We have used this unit in many school systems and high-traffic areas with great success. These U.L. listed units come with a solid state charger, long-life NiCad battery and energy-saving LEDs in addition to many other optional features such as fire alarm interface, flashing mode, tamper-proof screws, remote test actuator, damp locations, etc. The units are available with green or red letters and more importantly, in the emergency mode they will remain lit for four hours, which exceeds the ninety minute fire code requirement by two and one-half hours.